Calgary First Aid continues to deliver first aid, cardiopulmonary resuscitation (CPR), and automated external defibrillation (AED) training programs in Calgary since 2008. It is the most well-known and largest St Mark James service provider in the community. Courses are offered at various schedules, with night and weekend classes. All classes are St Mark James certification courses so completion of a training course will give trainees St Mark James training certification for first aid, CPR, and AED. Enrolment can be completed using the on-line application form below. You can also click the button on the right to use the form. Telephone calls, e-mails, and walk-ins are also highly encouraged by Calgary First Aid’s very accommodating staff. For additional information, prospective trainees may contact Calgary First Aid with the information below. 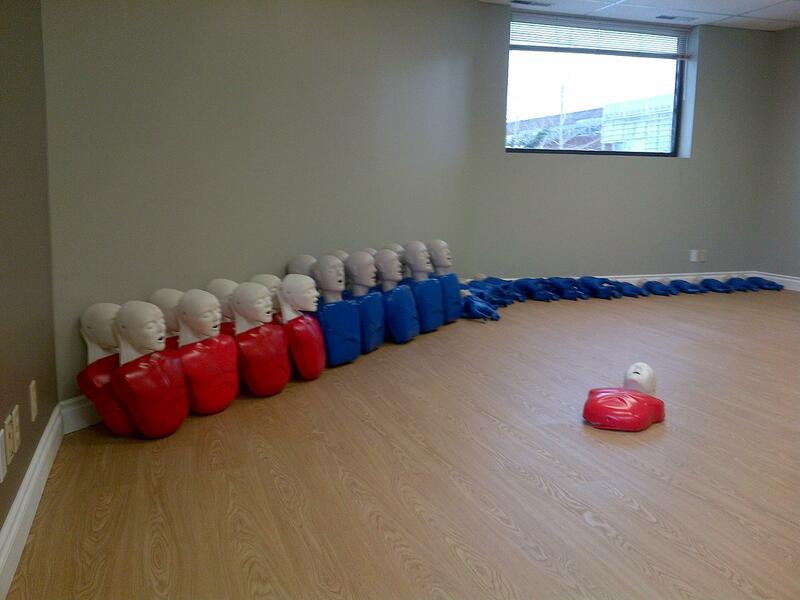 This CPR training provider is located near the heart of Calgary, with a number of free amenities such as nearby free parking and public transportation. Check out the map below to view more details about this location. 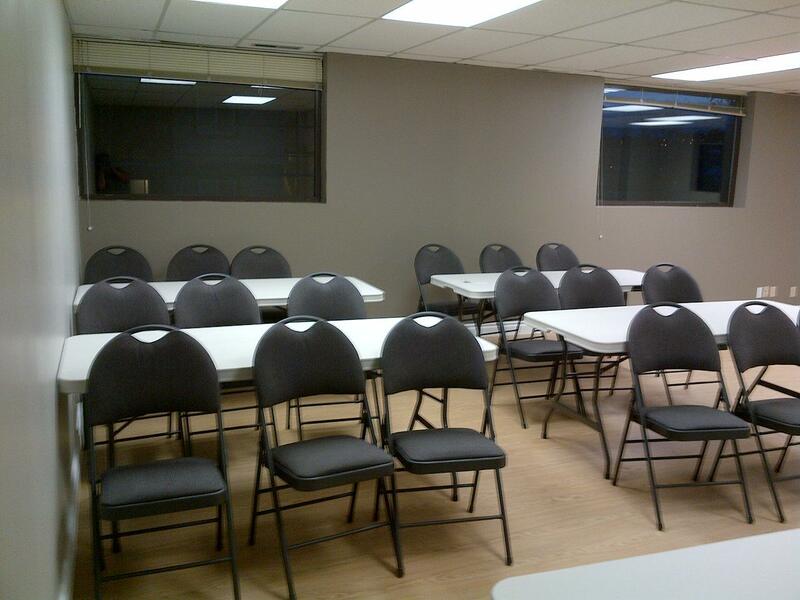 Calgary First Aid offers a wide range of training courses, stand-alone classes, private classes, and refresher courses. Popular classes include CPR and AED, first aid, special child care, and food safety. All classes are offered at various schedules throughout the week, with private classes offered to big groups, companies, or trainees who have scheduling problems. Training courses for CPR and AED have three different levels to choose from levels: “A”, “C”, and “HCP”. AEDs are machines that detect heart rhythms and apply needed shock to the heart. Basic first aid classes cover different skills needed in managing different kinds of emergencies. Skills such as bandaging, burn and bleeding management, and choking rescues are the most requested first aid class topics. Stand-alone CPR and AED or first aid classes are available as well. Calgary First aid offers the most competitive values for all of its St Mark James first aid, CPR, and AED courses. No other training service provider in Calgary has lower rates for personal lessons, group classes, or re-certification classes.Check out the price list for all St Mark James CPR certification programs below. All rates are inclusive of taxes, certificates, St Mark James registration fees, and training manuals and equipment. All training courses are St Mark James certification classes. Trainees who complete any of the training courses will receive a St Mark James training certificate, valid for three years throughout Canada. Full refunds are available to trainees who drop out, given a 72-hour notice is provided. Renewal / re-certification of expiring certificates are available twice a week through Calgary First Aid refresher courses. Classes are held in high-end training centers with the latest training equipment in first aid, CPR, and AED. Classrooms are spacious and air-conditioned to provide the best learning experience for Calgary First Aid trainees. Over 18% of Canadians are required to have either a first aid or CPR certificate for work or school purposes. There is an incredibly high demand for first aid and CPR certification programs due to various job requirements. One of the most popular courses is standard first aid with CPR level “C”, required in most workplaces in Alberta.